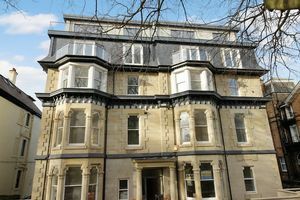 PRESTIGIOUS DEVELOPMENT of 16 QUALITY, MODERN LEASEHOLD 1, 2 & 3 BEDROOM APARTMENTS. 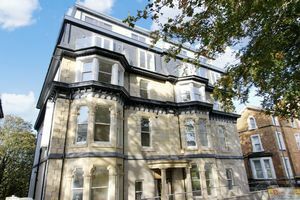 Formerly The Carlton Hotel, this substantial building has been fully renovated and extended to create a STUNNING APARTMENT BLOCK with LIFT FACILITY AND SOME SIMPLY STUNNING, FEATURE APARTMENTS, some of which benefiting form ARGUABLY THE BEST VIEWS IN SCARBOROUGH with PANORAMIC VIEWS OVER SCARBOROUGH, SCARBOROUGH'S SOUTH BAY to the castle and beyond. 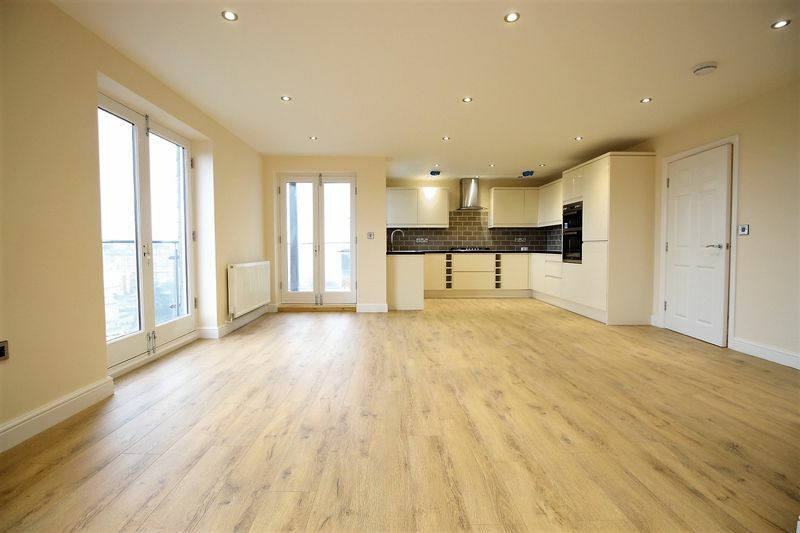 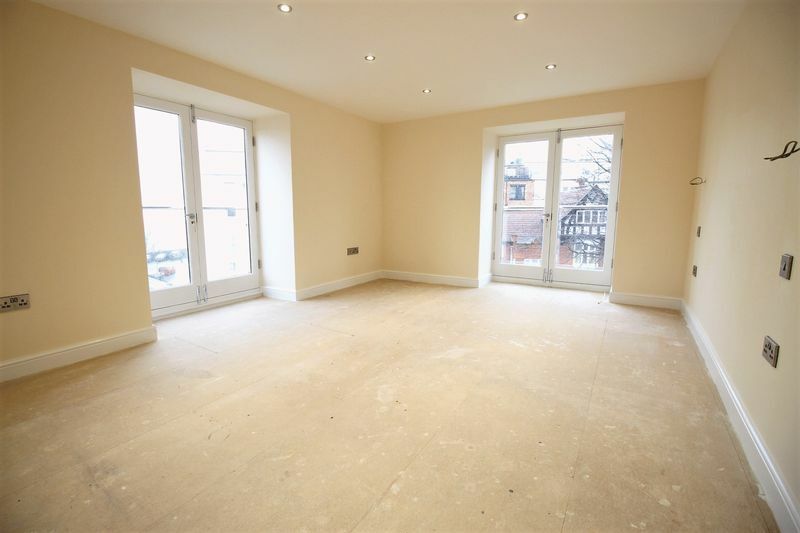 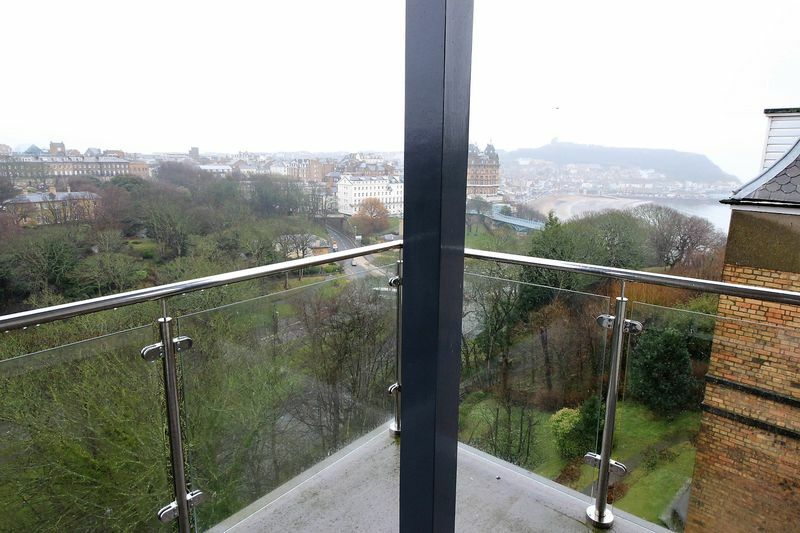 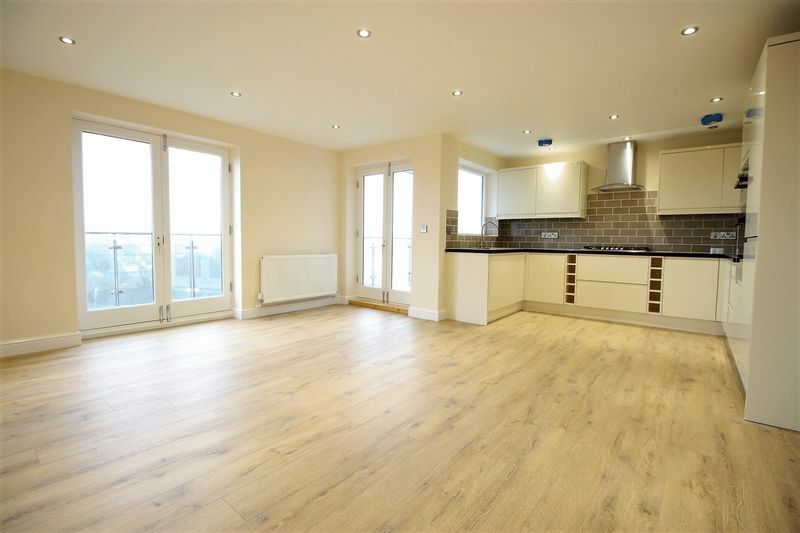 This third floor apartment benefits from a open plan style lounge/diner with kitchen area offering windows out to the full width balcony which has the addition of a covered area to enjoy the stunning views in any weather types. 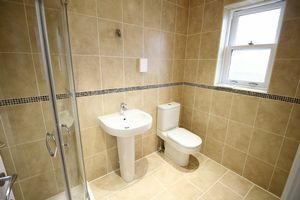 In addition to this the apartment benefits from two generous double bedrooms both of which benefit from en-suite bath/shower rooms and one of which has a front facing balcony and the other having two juliette balcony's to the front and side. 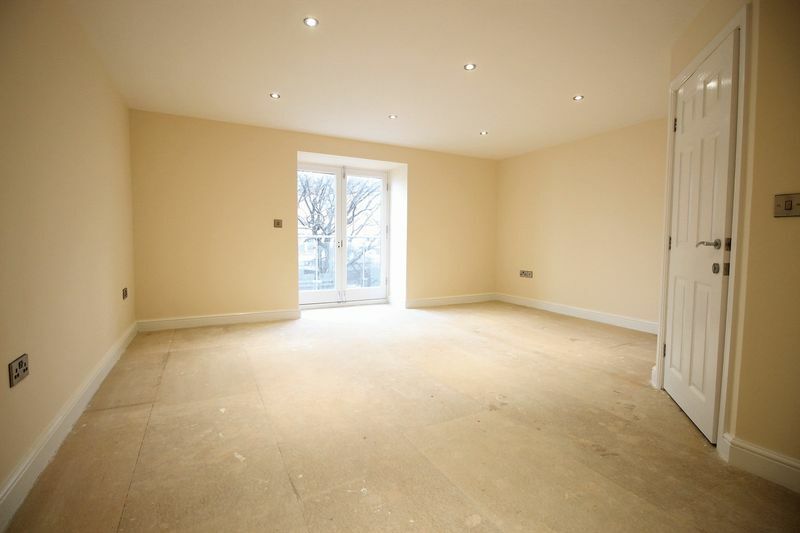 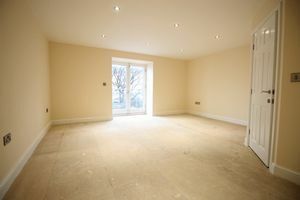 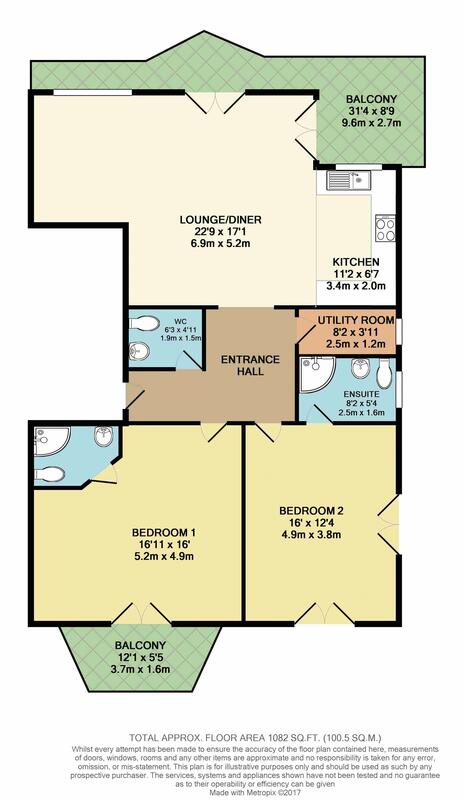 There is also a feature entrance hall as well as a separate w/c and utility room. 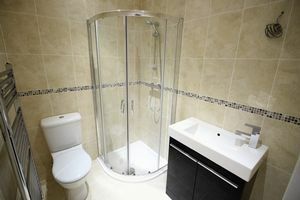 The modern fitted kitchen benefits from a full range of integrated appliances and the bathroom, shower room and w/c have all been fitted with modern white three piece suites. 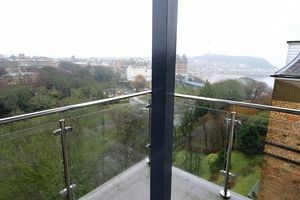 The apartment is fully double glazed and benefits from a gas heating system via a modern combination boiler. 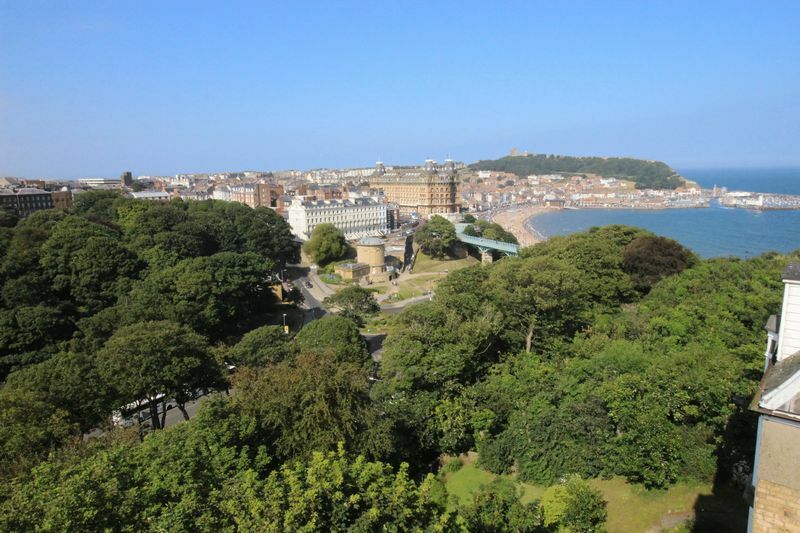 Outside the block benefits from communal landscaped gardens to the rear with path leading down to the bottom of Ramshill Road and almost directly onto Scarborough's South Bay and the beach. 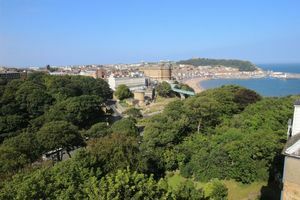 Being located in the Ramshill/South Cliff area of Scarborough mans the block is well located centrally to a wide range of amenities and attractions most notably being minutes walk away from the south way and arcade promenade, The Esplanade and surrounding gardens for scenic walks along with Valley bridge providing ideal access into the town centre and the Scarborough Train Station for commuting. 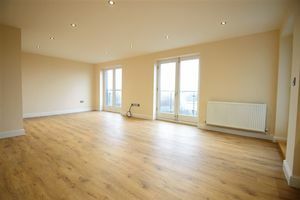 Any interested party are advised to call the office and speak with one of our friendly team to discuss the apartments in greater detail along with the option of a flexible viewing service which is advised to get the full 'WOW' factor of this stunning development.